Now you can quickly and easily use your own voice instead of computer generated voice inside your videos. To start the wizard, first go to "My projects". Then from this drop-down menu here, click this "easy voice recorder" link. If you are using this wizard for the first time, you will need to grant the permission to use your Microphone. To do that, first click this "Allow" option here. Then check this "Remember" option here and finally click this "Close" button here. The wizard is now ready to record. Your project items are located in the right hand pane here. 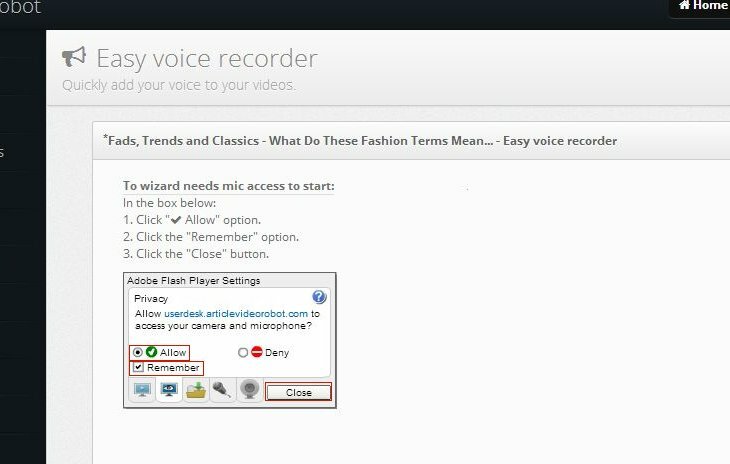 Upon clicking this "Start recording" button the wizard will automatically highlight what you need to speak. As you can see the wizard has highlighted the first item which it wants you to speak. Once you record this item it will automatically prompt you to record the next item. It will keep going on like this until we have reached the last item in the list. And that's all there is to it! 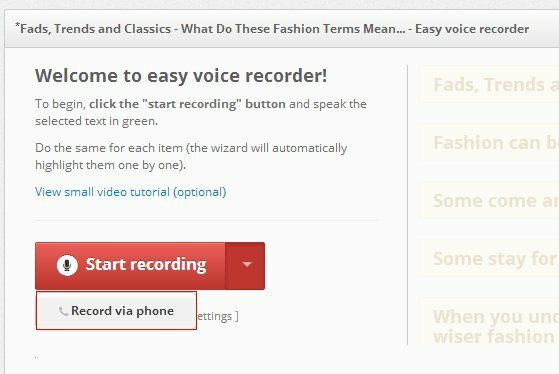 You can able to record your own custom voice-over for a video in about 3 minutes total. 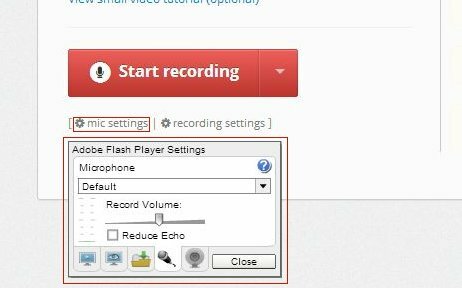 If you don't have a microphone installed on your computer you can also record your voice over the phone. Just select this "Record by phone" option here. Then call the number on the screen and input this 5 digit pin number. Now the wizard will highlight each item and you need to speak the same in your phone after each beep. That's it! By the way, personally I would still recommend that you use a mic instead of phone because the quality is much better with mic. Here is a bonus tip for you to greatly improve the recording quality. Click this mic settings link here. 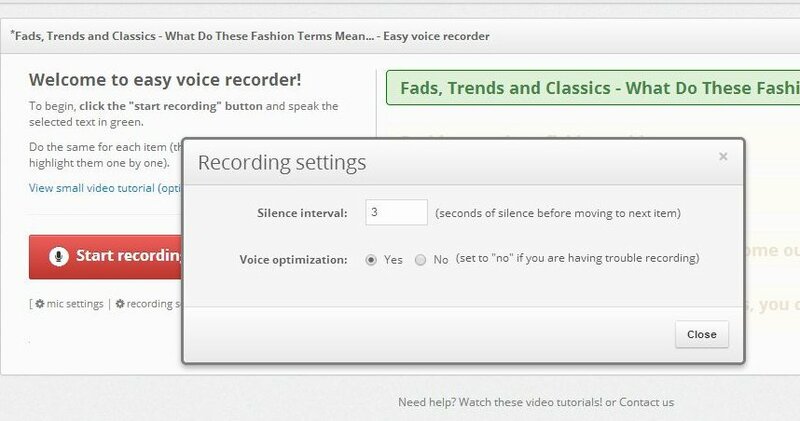 Then check this "Reduce echo" option here and click Close! Note: If you are facing any issues with recording, please visit http://new.articlevideorobot.com/faq/voice-recording-problems to resolve any possible issues.